Racks offers venue hire with food and drink options that can be individually tailored for you and your colleagues. In relaxed and professional surroundings you can accompany your meeting with tea, coffee and light bites or take your pick from our delicious breakfast, lunch or dinner menus. Look no further than Racks when searching through the meeting rooms Bristol has to offer, and let us take care of your professional needs. The Engine Room –The Engine Room is comprised of 2 adjacent spaces located in the old wine cellars. The first is a dedicated meeting and workspace with bespoke industrial furniture, handmade here in Bristol and chunky leather seats and seating for up to 8 and equipped with a smart TV with A/V facilities, printing and private WIFI. This is separated by a glass door to the breakout space where you will find plush velvet sofas and armchairs, perfect for some downtime and a place for more informal discussion over a cup of tea or coffee. This is an entirely closed off private room in Racks. The space is perfect for brainstorming sessions, team meetings , interviews and private screenings. 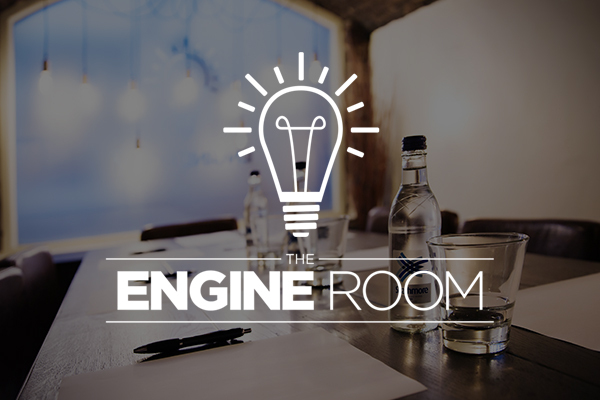 With stunning furnishings, the very latest technology and delicious single estate coffee, The Engine Room is an unparalleled meeting space in Bristol. 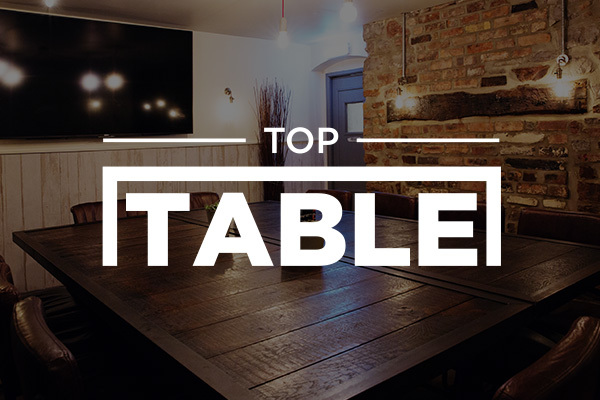 The Top Table – A large vintage square table that seats 14 with 80″ screen. Perfect for informal meetings team meetings, private screenings and sports. The top table is located in a secluded area at the end of the playroom but is not a completely closed off area.